Igor Vasilievich Karpenko, Minister of Education of the Republic of Belarus, Vladimir Mikhailovich Tsumarev, Chairman of the Mogilev City Executive Committee, Andrei Mikhailovich Kuntsevich, Deputy Chairman of the Mogilev Oblast Executive Committee and Vladimir Vladimirovich Ryzhkov, Head of the General Directorate of Education of the Mogilev Oblast Executive Committee visited the Belarusian-Russian University on January16, 2019. During the visit, a meeting with representatives of the University staff and members of the University Council was held. Igor Vasilievich Karpenko announced the appointment of Doctor of Engineering, Professor Mikhail Mikhailovich Lustenkov as Rector of the University. 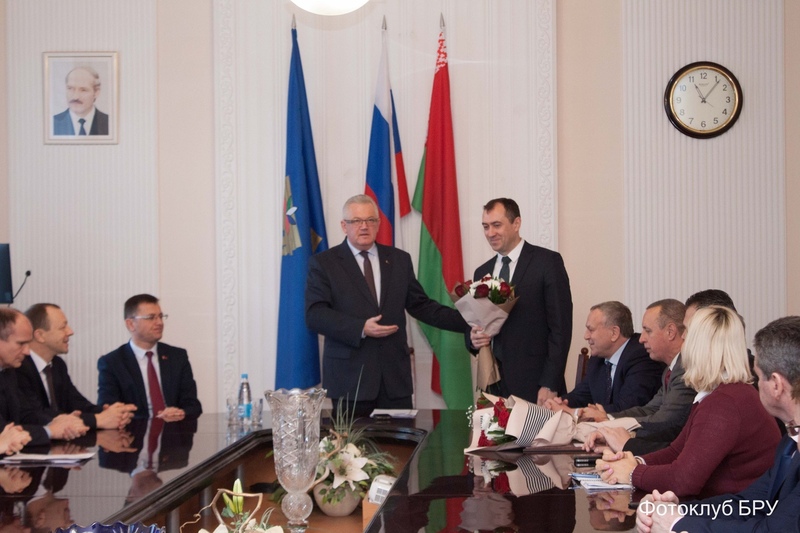 The Honorary Diploma of the Ministry of Education of the Republic of Belarus and the Honorary Diploma of the Mogilev City Executive Committee were awarded to Doctor of Engineering, Professor Igor Sergeyevich Sazonov for many years of fruitful work, significant personal contribution to the development of the higher education system and training highly qualified specialists. 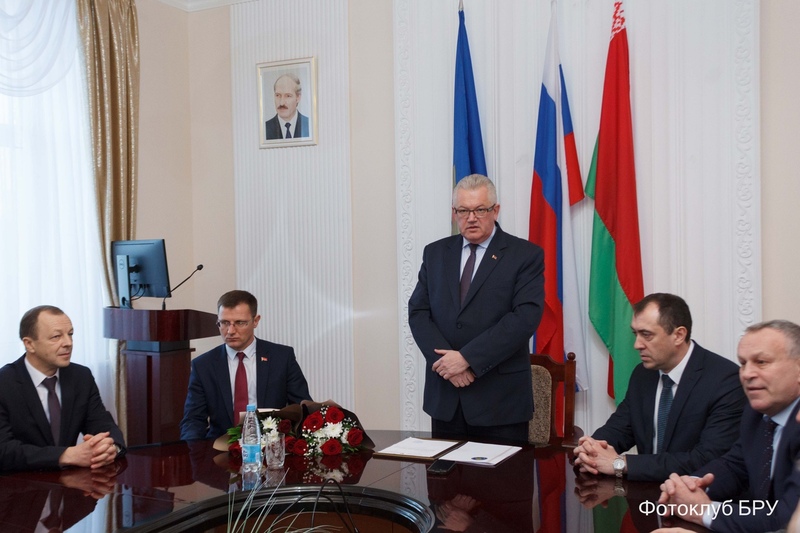 Some issues of further development of the higher education system of the Republic of Belarus and the Belarusian-Russian University were discussed at the meeting.